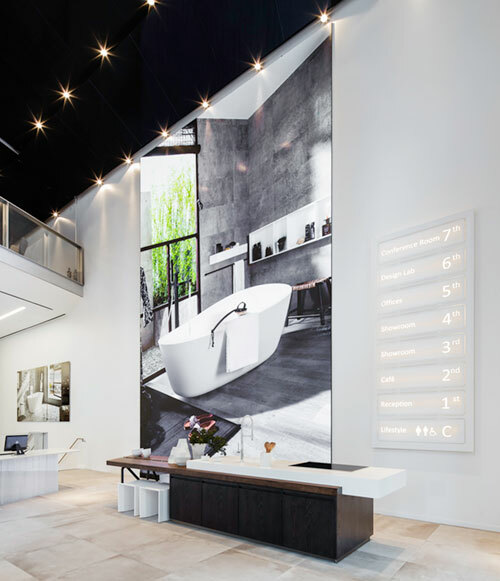 A dramatic display and audiovisual experience for Porcelanosa’s brand new Global Flagship in the heart of Manhattan. 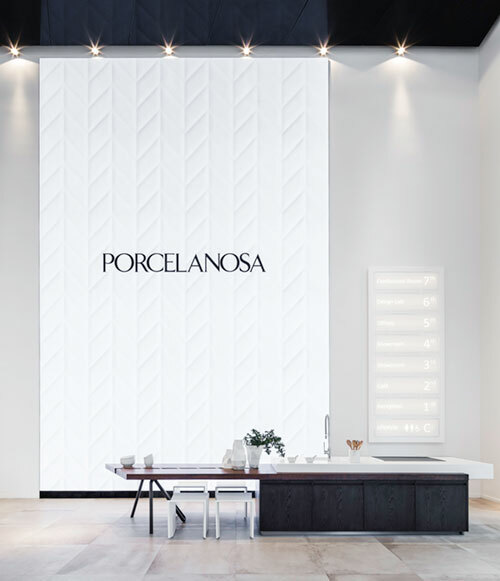 WHY Porcelanosa, the premiere European manufacturer of luxury tile, kitchen and bath products, contacted us to design and produce all-things audiovisual for their first global flagship. 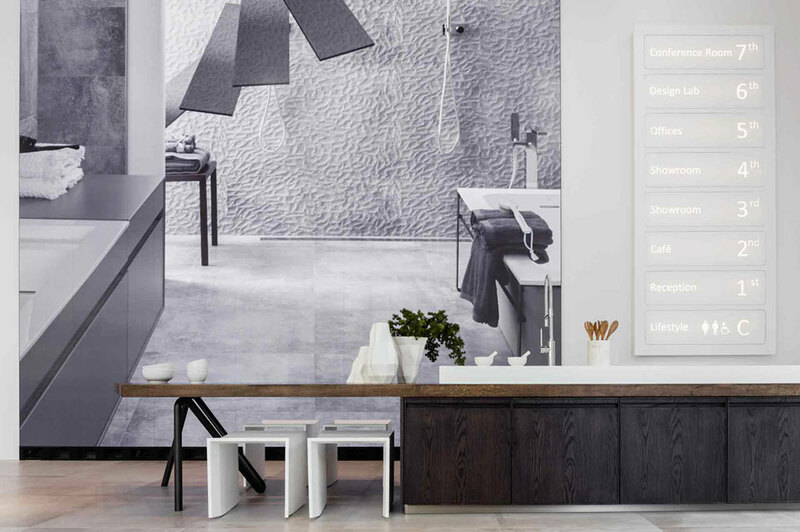 The iconic new flagship showroom, renovated by Foster+Partners showcases an impressive six-level historic building at the landmark intersection of Broadway and 5th avenue in New York. 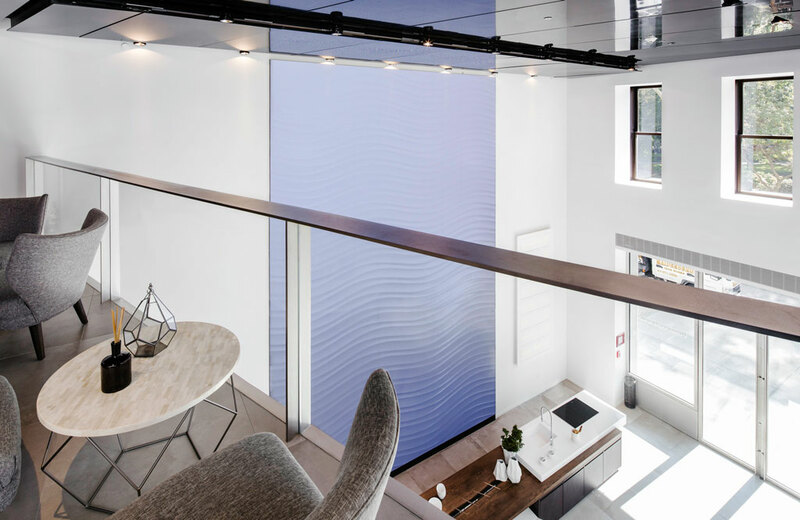 WHAT We designed a dramatic floor-to-ceiling 26’H x 16’W seamless LED screen, visible from every angle of Madison Square, and an interactive video wall to customize interiors with Porcelanosa’s finest materials. The display showcases an experiential lookbook featuring iconic brand lifestyles in mesmerizing motion. 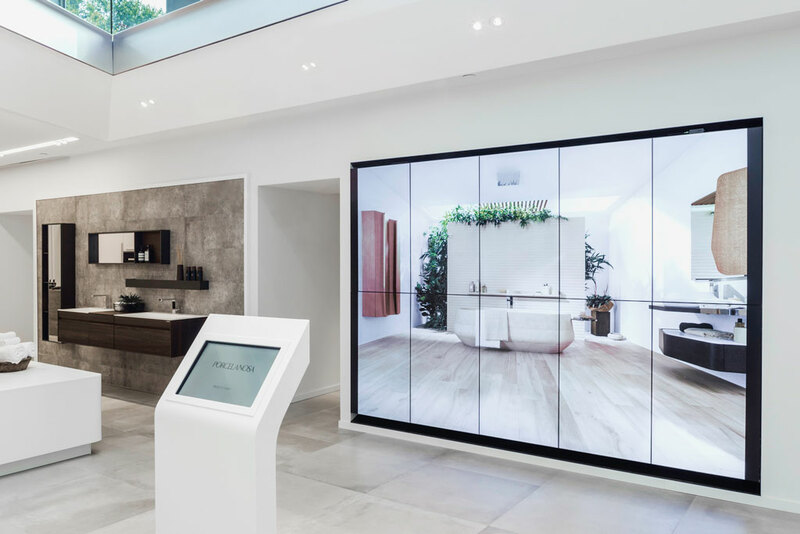 An immersive audiovisual experience that reinforces Foster’s open plan and Porcelanosa’s elegant designs through a flowing visual journey featured across three floors.